"Be No. 1 in nation for high school graduation rates." By Amy Sherman on Wednesday, November 28th, 2018 at 6:00 a.m.
Gov. Rick Scott set the bar high on high school graduation rates: He promised Florida would rise to the top spot. But Florida has fallen far short of Scott's 2014 re-election campaign promise. There are a few different ways to measure graduation rates. One common measurement is the federal government's cohort method, which examines how many students who enter 9th grade graduate four years later with a standard diploma. By that measurement, Florida's rate in 2015-16 was 80.7 percent, below the majority of the states and the national average of 84.1 percent. Florida's rate placed it in 37th place, said Sterling Lloyd, assistant director for the Education Week Research Center. "It will take significant work to catch Iowa at 91.3 percent," Lloyd said. The 2015-16 data is the most recent available from the federal government. The Florida Department of Education provided PolitiFact with the following year's data showing a graduation rate of 82.3 percent in 2016-17, an all-time high during Scott's tenure which started in 2011. However, the state data also shows that the graduation rate has climbed every year since 2006-07, which includes former Gov. Charlie Crist's tenure. Improvements are notable, but Scott promised that Florida would climb to No. 1. The state has not achieved anywhere near that ranking. By Amy Sherman on Thursday, April 16th, 2015 at 1:13 p.m.
As part of a group of promises to invest in education, Gov. Rick Scott promised in his second term to "be No. 1 in nation for high school graduation rates." There are a few different ways to measure graduation rates, but the one the state Department of Education points to is the federal government's cohort method, which examines how many students who enter 9th grade graduate four years later with a standard diploma. By that measurement, Florida's rate was 76 percent in 2012-13, below the national average of 81 percent. Only seven states had a lower rate -- Arizona, Arkansas, Georgia, Louisiana, Nevada, New Mexico and Oregon -- while two, Mississippi and Washington, were tied with Florida. When we asked about this promise, Scott spokeswoman Jeri Bustamante pointed to Scott's proposal to increase K-12 per-student funding to $7,176, which is about a $261 increase compared to the current year. Scott's per-pupil proposal is a record high -- but not if adjusted for inflation compared to the 2007-08 school year. His proposed figure is about $640 short of the high watermark, according to the Bureau of Labor Statistics Consumer Price Index inflation calculator. Bustamante also pointed to Scott's proposal to increase early learning funding. Scott recommended $1.1 billion in total funding, an increase of $33.5 million compared to the current year. While education experts told us that increasing the state's investment in education is worthwhile, simply raising the amount of spending isn't enough to catapult Florida's graduation rate to No. 1. Policymakers must target resources resources for the state's lowest-performing high schools and subgroups that lag behind in the graduation rate, including African-Americans and low-income students, experts said. "Increasing support for K-12 education and early childhood is a step in the right direction for sure, but on its own, it will probably not be sufficient to get to that goal," said Natasha Ushomirsky, senior data and policy analyst at the Education Trust, an organization that aims to close the achievement gap. 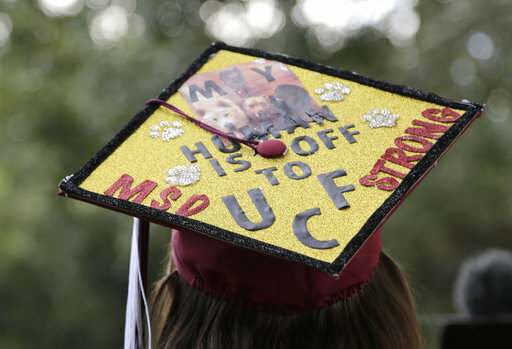 For Florida to ascend to the top graduation rate in the nation would "require improving graduation rates pretty substantially and faster than the state has been improving in recent years." Florida has a lot of English language learners, so it has challenges in increasing the high school graduation rate, said Richard Murnane, an economist and professor at Harvard's Graduate School of Education. Richard Rothstein, a research associate at the Economic Policy Institute, questioned why politicians set such goals and why voters don't seem to punish officials when they fail. "I don't know why people fall for this stuff," he said. "You may recall that in the early 1990s, Bill Clinton got Congress to vote that the U.S. would be 'first in the world in math and science by 2000.' Congress people who voted for this were re-elected. In 2001, Congress voted that all students would be proficient in reading and math by 2014. That law, as you know, is still on the books, so I guess there is still time. Congresspeople who voted for that were also re-elected. The Obama Administration proposed to Congress that this demand be changed to 'all students college and career ready by 2020.' No political price seemed to be paid for this either." Scott has proposed raising K-12 and early education funding, but experts said that isn't enough to raise the graduation rate. His promise for Florida to become first in the nation in its graduation rate is a lofty promise, and we haven't seen enough evidence that he has taken steps to get there. We rate this promise Stalled.